We have 'em up here in the Canadian North as well. 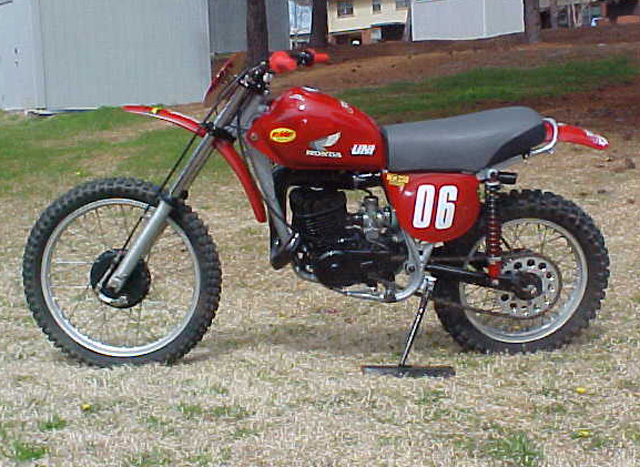 This 1974 MT250 was an old pit bike that looked more like a rat bike. It was mighty rough when I bought it. I restored it from the frame up, got it mobile and roadworthy, and ended up swapping it with one of the guys in our vintage club. He is a real fussy dude and acquired a brand new tank, along with other new goodies (footpegs, etc..) and the bike could almost pass for brand new now. We ended up in the midst of another bike swap and the MT250 is now mine again! I absolutely love these bikes, and my objective is to be able to show off the whole series of first year MT and XL's before they disappear off the planet. I am only missing the MT125 now.